The original Solo 1 was rated as having the best efficiency for a portable vaporizer. The Solo 2 is no exception. It’s full of power, literally. The battery has an incredible 3 hours of life, with up to 20 uses per charge! With this kind of battery life, you’ll be able to vape for days and never have to recharge. And not only that, it heats up so fast that in less than 30 seconds it’s ready to use. Then when you start your session, the perfected airflow will provide you with a smooth draw for maximum extraction of the purest vapors. But where does this perfected airflow come from? It’s owed mostly to the all glass vapor path, which produces a smooth, cool, and delicious vapor. All in all, the ergonomic design is fantastic, and it’s precisely engineered to give you the best vape possible. The icing on the cake is that it’s easy to clean and maintain. Considering its long battery life, the Solo 2 is remarkably compact and durable. You can use it anytime, anywhere by pre-loading glass aroma tubes into it. And thanks to its durability, you won’t be worried about accidentally dropping it and breaking it! 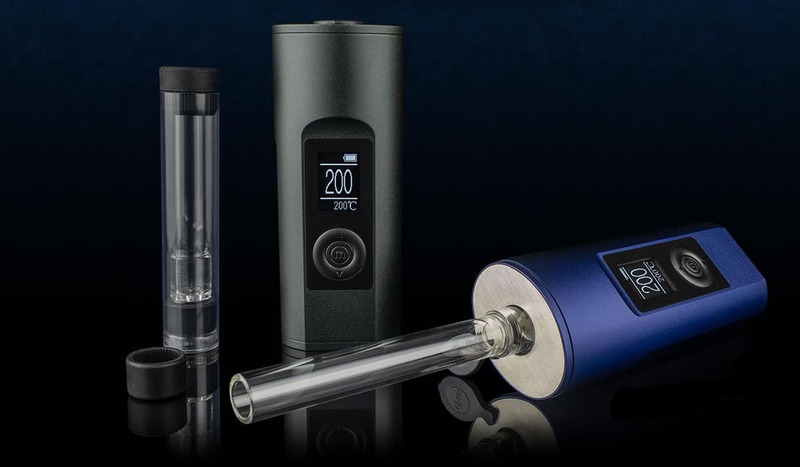 Arizer offers custom sessions settings for their vaporizers, and the Solo 2 is no exception. You’ll have precise temperature control adjustable in 1-degree increments, from 122F – 428F — nothing more, nothing less. What Are People Saying About The Solo 2? The defining features of the Solo 2 are its long battery life and its size/weight. Therefore, it will most benefit those who vape frequently and don’t mind its larger size. This is why the Solo 2 is best for people who like to vape at home, since carrying it in your pocket can be an uncomfortable experience. However, if you’d like to take it outside the home, then all you need to do is throw it into a backpack and you’re good to go! As an independent blogger/reviewer mentioned, the best experience with the Solo 2 comes from picking up a water pipe adapter as well as some glass. Then hit the Solo 2 through water to experience an amazing new kind of session.